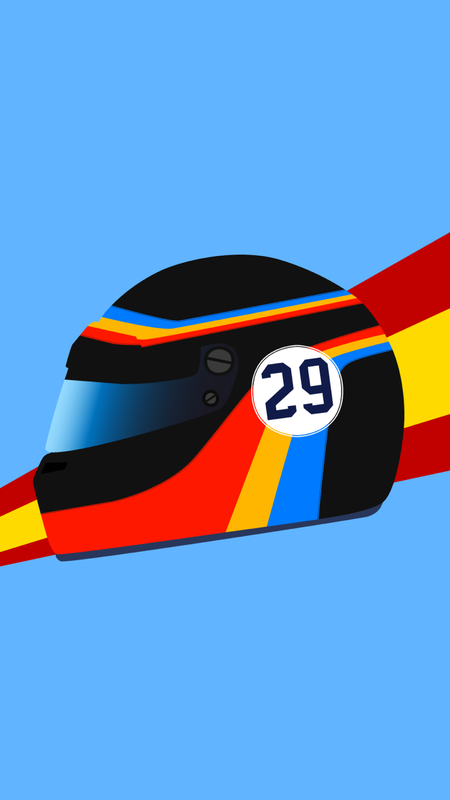 Fernando Alonso. He’s having a hard time currently with the McLaren Honda in Formula 1. The two-time WDC winner with Renault started his career with Minardi scoring points on his debut. Moved to Renault, ended Schumacher’s reign by dominating the ’05 and ’06 season and left for McLaren. At McLaren, he was pushed out by Ron Dennis in favor of the then new talent Lewis Hamilton, only to return to Renault. He was picked up by Ferrari to replace Raikkonen in order to challenge the Red Bulls – a venture which ultimately ended in a lot of frustration and disappointment. He then turned to McLaren for the new Honda era, which remains largely fruitless three seasons in. 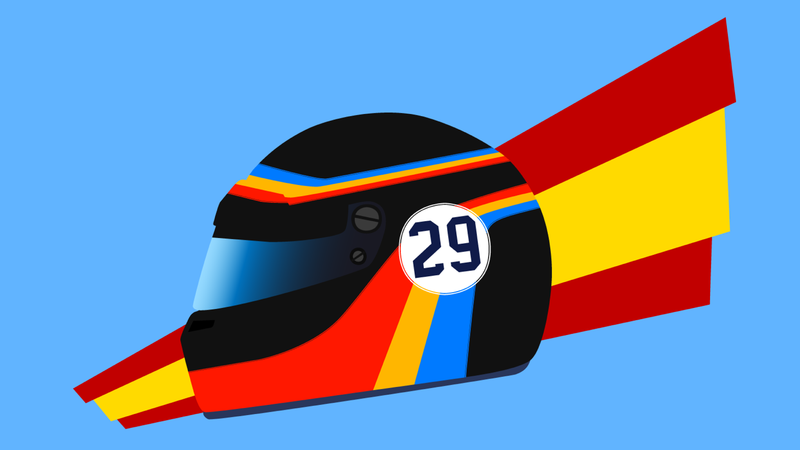 In order for Alonso to keep sane, McLaren have allowed him to take part in the Indianapolis 500 this year, matched with a fresh, retro-inspired helmet design, as pictured above. Making this design was fun, although a bit hard as I was still coming to grips with Adobe Illustrator. Yet, you can enjoy the fruits of my efforts below.